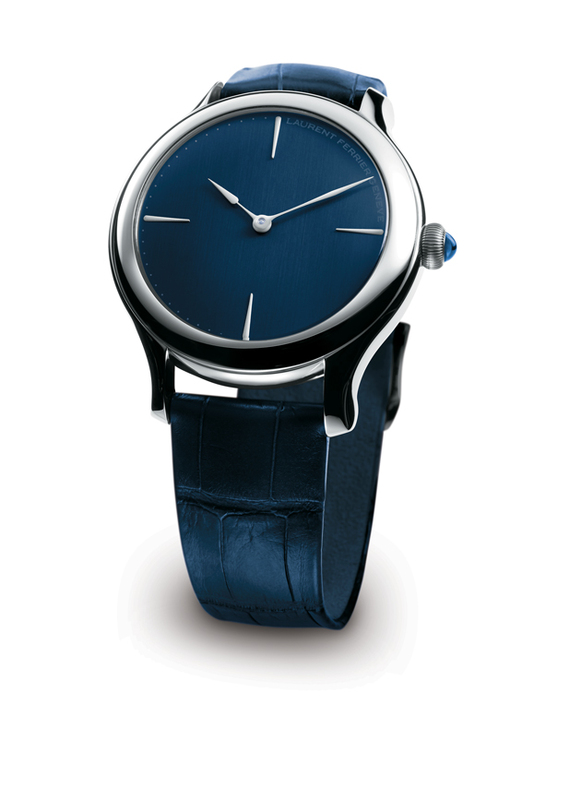 Hues of blue take centre stage. 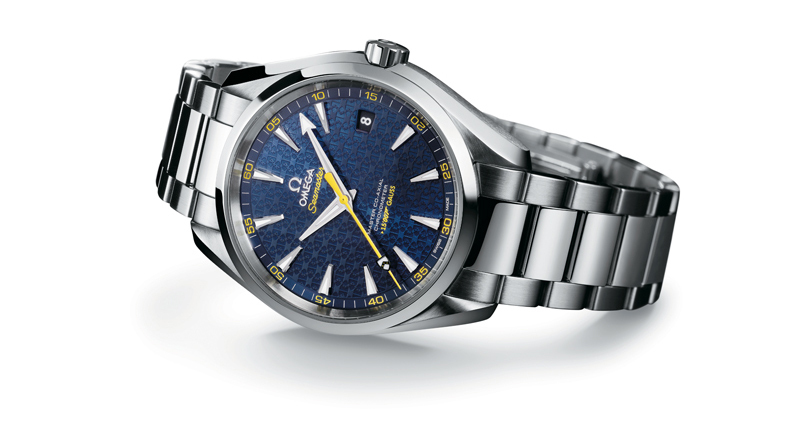 Steel case, lacquered blue dial with Bond family coat of arms pattern, sun-brushed from centre, Omega Master Co-Axial Calibre 8507, self-winding movement. Resistant to magnetic fields of 15,000 gauss. 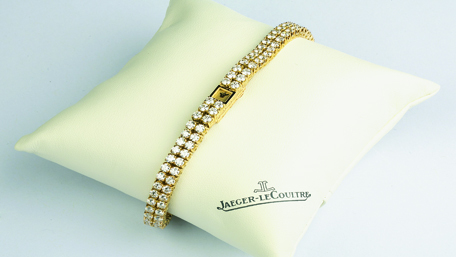 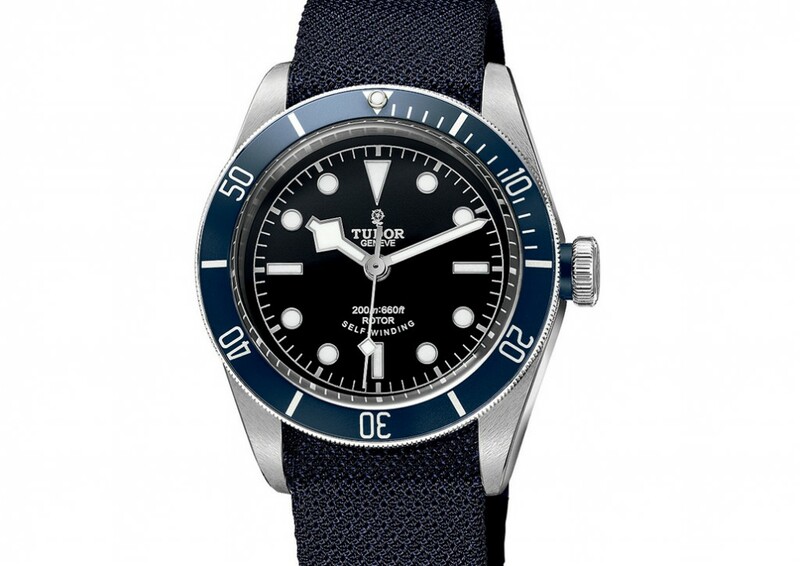 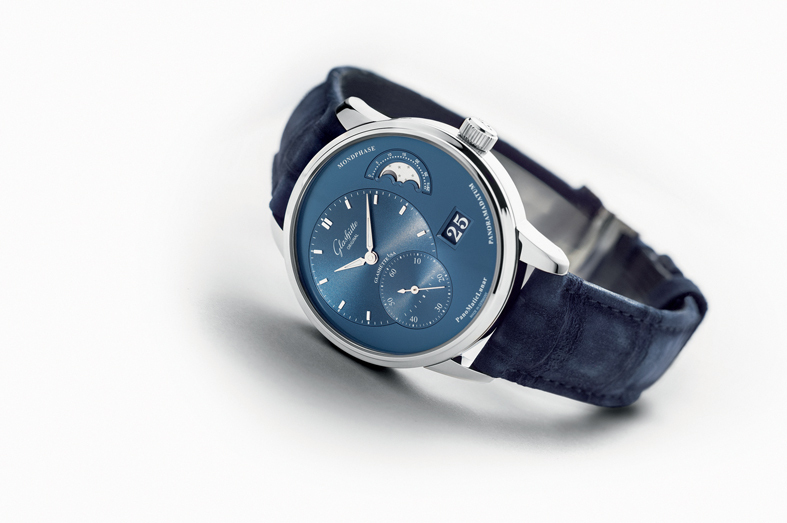 Limited edition of 15,007 pieces. 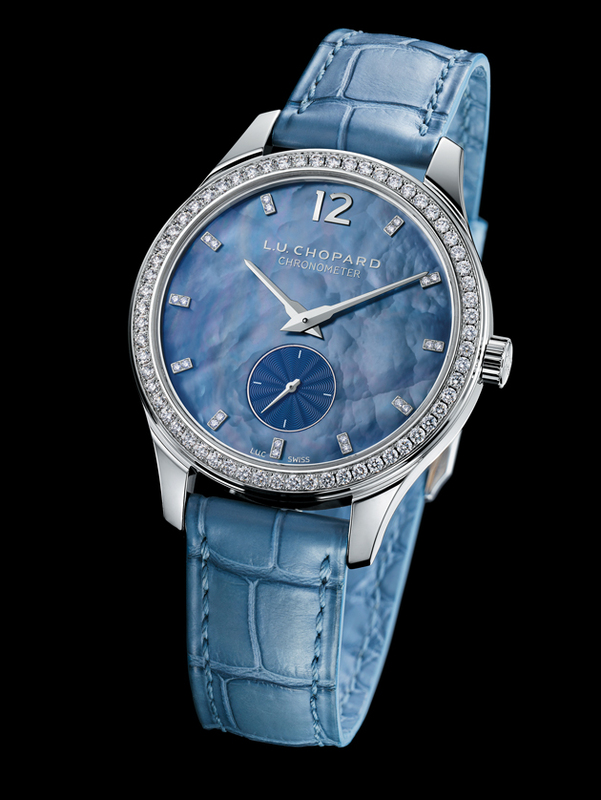 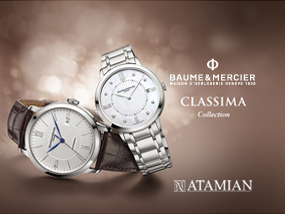 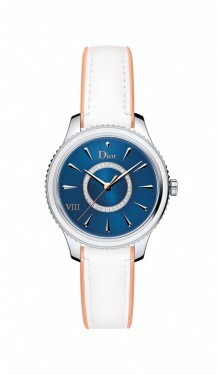 White gold case set with diamonds, mottled blue mother-of-pearl dial, self-winding movement with a thickness of 3.3mm. Limited edition of 25. 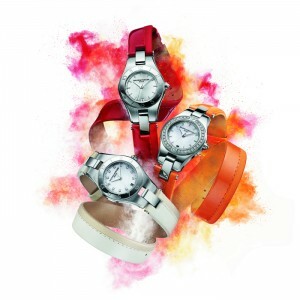 Polished steel case, steel bezel set with a white mother-of-pearl ring, silvered sun-brushing with translucent dark blue lacquer dial, central ring set with diamonds, white calfskin with peach-colored rubber lining straps. Steel case, galvanized blue dial, automatic movement, hour and minute (off-centre), small second (off-centre), second stop, panorama date, moon phase. 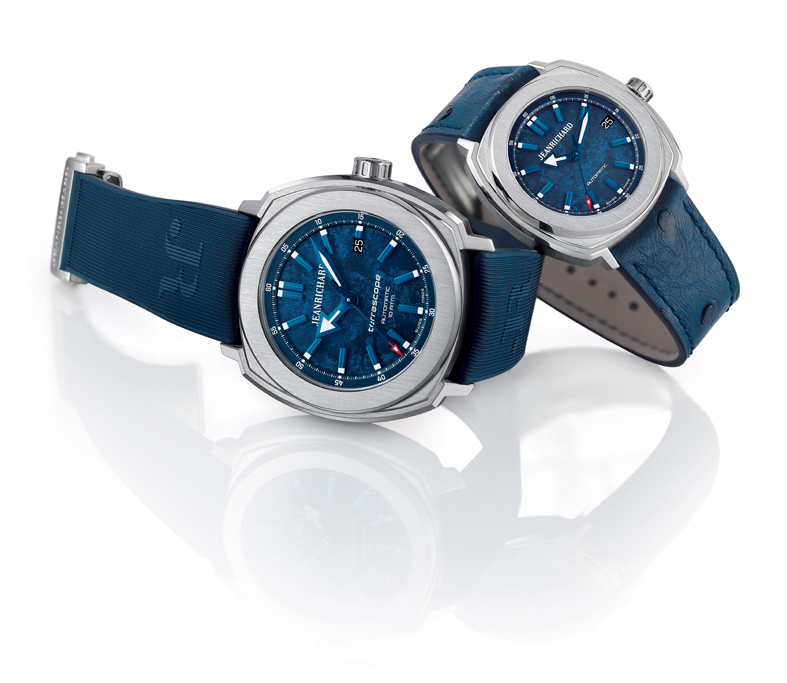 Blue PVD-treated titanium and platinum case. 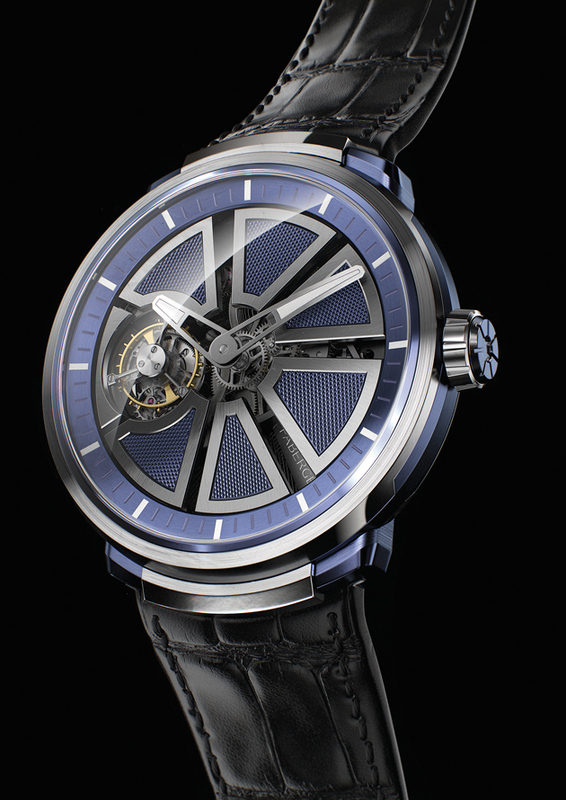 Movement adorned with guilloché, chamfered and satin-finish blue trapezes, flying tourbillon, hand-wind. 44mm and 39mm polished and vertically satin-finished stainless steel case, blue textured dial, blue rubber and blue ostrich straps, movement JR60, self-winding. 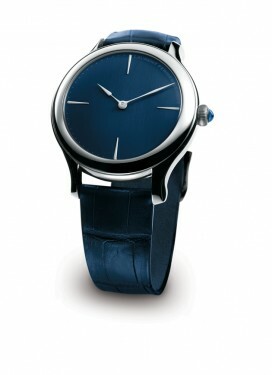 White gold case, blue colored dial with vertical satin-brushed, self-winding movement. 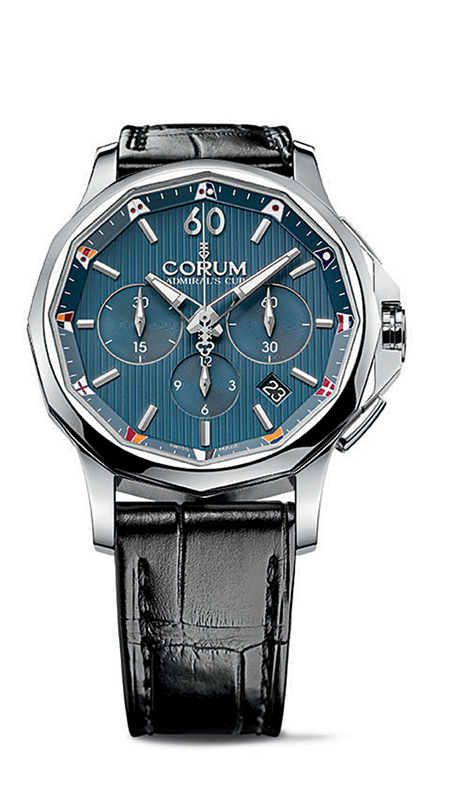 Steel dodecagonal case, blue brass dial, «Guilloché» finishing, hourly nautical pennants transferred on the flange, self-winding chronograph.